Just catching up on your inspirational and thought-provoking blog posts. Hope you have ablessed and relaxed week. Enjoy your time off. We will see you when you return. It's probably about time you had one. :-) Enjoy yourself and see you later! Have fun, Susan! Hope you come back rested and refreshed. Hi Chatty - I hope you and your family enjoyed the weekend. Hi Karen - Yes, I'm now un-frazzled. Hi Nancy - I have a post up today (Friday). 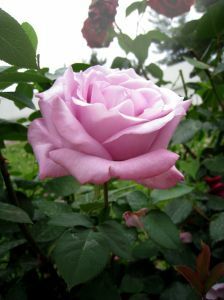 Hi Janette - I mention pink roses in my book. Hi Jess - Yeah, I was due for a break. Hi Rhonda - I'll be seeing everyone soon. I missed your blogs.